And death. All reflected in Mickey Patel's last offering for kids. It is impossible for me to be dispassionate about the late Mickey Patel. Nor can I be dispassionate about his last book for children, The Story of a Panther, published three years after his death. Looking at the last of Mickey's books for children, I tried for the first time to put words to why I had loved and admired him since the day I met him as a child. The last time I saw him, I made a gesture of mock disapproval seeing a glass in his hand. Knowing I was referring to the doctor's warning against drinking, he said: "It's mainly lime juice". Then he gave me his particular half-smile. A smile that only partially covered his complete awareness of the fragility of life with his innate ability to see humour in everything. When he spoke, it was always with precise clear words said in soft half-whispers but with the same surety as the gentle lines he could draw with his pen or brush. His vision and understanding of life had a brutal clarity that was inherently humorous. This view of life is reflected in the characters he has drawn for this story—the strutting hen, the pompous Very Important Person, the playful child, the lusciousness of trees. Mickey was one of a kind—like the panther of this story. All the other characters in this illustrated book are defined by Mickey's playful sketches, while the panther has no outline. This animal, like Mickey's mind, is a delightful mobile patch of spotted yellow that peers at you with innocent eyes. A characteristic of Mickey's style was his disarming simplicity—despite his enormous achievements. Beginning as a graduate of economics at St Stephen's college, who only made it to evening art classes, but was soon drawing cartoons for Shankar's Weekly and Yojana. Later trying to make a living by working with advertising firms—Lintas, Thompson, ASP and Clarion. All the while supporting a family of two children he pursued his great love for drawing and painting. 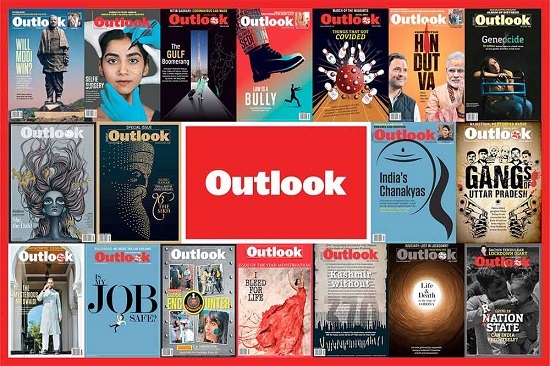 Almost every major magazine and newspaper in India published Mickey's work: India Today, Illustrated Weekly, Patriot, The Times of India, Reader's Digest, Business Standard among others. Mickey received acclaim at a dozen international exhibitions, and he was much sought after as a visualiser, cartoonist, animation film maker and illustrator. Similarly, this quality of disarming simplicity is the essence of The Story of the Panther. It is playful in its portrayal but has a powerful social value as its undercurrent. It is a story of an innocent panther who wandered into a village and the consequent hysteria of frightened people, their unthinking reliance on authority, the hasty killing of the panther—because no one ever stopped to think for a second and question why. Mickey saw ugliness as a potential joke, he understood the comedy of life. He was always funny and unpredictably amusing to be with—like the illustrations for this book—there are lines that make you giggle, expressive swiggles, zippy fast sketches, colours that move, and dots that can make you laugh. Yet there were large blank areas in his life as in most of his paintings and drawings. Areas of blankness which he never attempted to explore—making money, being streetwise, or mean. But there were also colourless spaces in his life that few understood—his depression and pain amidst outbursts of creativity, colour and line. I miss Mickey. I wish we could sit and have a drink, then he could make me laugh at our present day very important Persons, caricature politicians and the hysteria of elections, of the danger of taking life and death too seriously. But I thank Mickey for filling my life with vibrant colours, laughter, wiggly lines and for this lasting reminder of our stupidity in needlessly killing innocent panthers/animals.